Cost: $490 one-off placement fee – please see Costs section for further details. Contribute to a meaningful project and take our independent, six-times awarded responsible travel agency to the next level by bringing a wealth of business expertise and soft skills much needed in the country. Help upskill the local team. Due to Cambodia’s history of conflict, genocide, and famine, and low standard of university education, many local people lack the skills needed to make a company flourish. 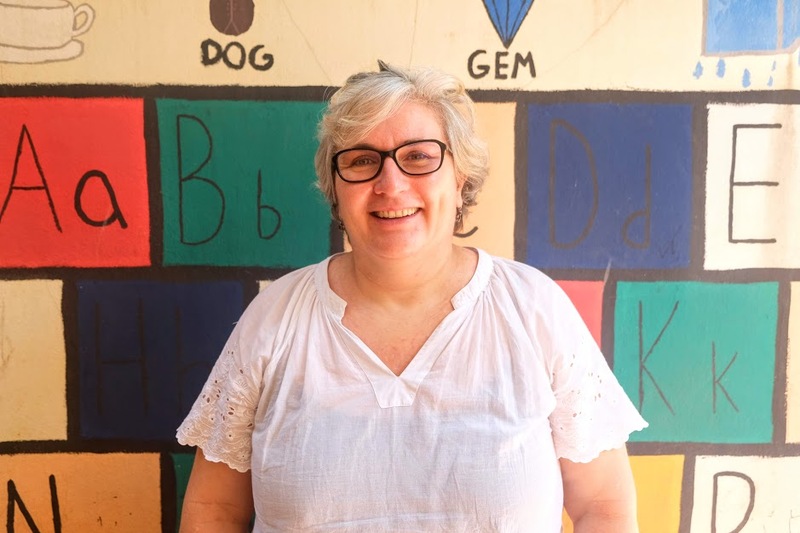 By volunteering in this role, you will help us handover a sustainable and financially strong agency to a knowledgeable, independent and capable local Khmer team. Pleasant working environment. 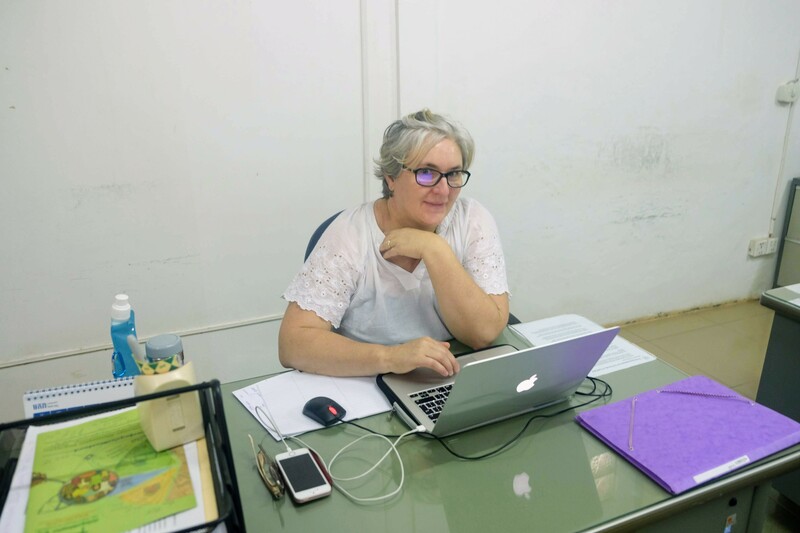 Working out of a converted house and garden, you will have the opportunity to work alongside both local Cambodians and Westerners. Cambodia has had a challenging and dark history, and continues to be one of the poorest countries in the world. Long-term development remains an ongoing problem, with serious skill shortages affecting over two million people, who live on less than $2 per day. Our aim is to match the appropriately skilled volunteer with the right local Cambodian project. By doing we can make a more sustainable longer-term impact. You will be working with a small, independent, multi-award winning, travel agency, based in Siem Reap – home to the incredible Angkor Wat temples. We want to take our agency to the next level, and in order to do that, we need a Business Analyst with expertise to implement Salesforce as part of our business process, to help make the organisation more financially sustainable. Joining us as a Business Analyst, with knowledge of Salesforce, you will help us implement this CRM into our business process. By doing this we aim to be more financially sustainable, and ultimately share a successful project, underpinned by robust infrastructure, with the local Khmer team when they take over in two years. We need you to help purchase and implement the software, define the process workflow with the help of the Social Media Manager, set up the reporting framework and draft a procedures manual for ongoing use. You will work directly with the Director and Founder, whilst also supporting the handover to local staff. Being able to manage the project end-to-end is key, as you will be the only team member with this skillset. Therefore, being independent, flexible and adaptable to working in a different culture is key. The working environment is really unique – our office is a converted house, with a nice garden. The team is a mixed group of local Cambodians and Westerners, which creates a great energy and relaxed working style. Whilst working with us you will have your own desk with access to a project computer or laptop, good WiFi, the use of a bicycle to get around and flexibility in terms of your working hours. We enjoy team events and excursions and encourage everyone to get involved. You can book a tuk tuk yourself directly at the Siem Reap airport – the booking center is located at the arrival exit, at a fix cost (today is $8). The airport is just fifteen minutes drive to Siem Reap City Center. Accommodation with us is optional. If you choose to stay in our accommodation, you will be living in a studio room with a double bed and private bathroom with shower, A/C and Wifi included. If you opt to find your own accommodation, we will help you to find somewhere nearby to stay. Prices are approximately $5-8 per day for a hostel ; $10 per day for a basic room ; $15-20 per day for a nice room with A/C, Wifi , swimming pool; 30$ per day for a one bedroom apartment. You can easily find the right accommodation option for you dependant upon your budget. $490 USD one-off Placement Fee. * Full placement fee required as deposit. Help you find the right organization – We only work with organizations that have a clear mission statement, are socially conscious, ethical in their practices and making a positive impact within the Cambodian community. Match your skills with the right project – We ensure your professional background, expertise and personal expectations are properly matched with the right project, to ensure you have a meaningful and responsible volunteer experience. Assist you in getting ready – We will coordinate the drafting and signature of a Volunteer Project Scope of Work prior to your departure, to ensure method of work, goals, outcomes and, overall, your volunteer experience is meaningful and aligned with your expectations. Pre-departure check-list – We will provide you a list of things to do and bring in your luggage prior to your departure. Pick you up at Siem Reap Airport – We will pick you up at the airport upon your arrival and bring you to our accommodation. Welcome you on onboard – We’ll offer a cultural induction and orientation tour to help you settle in. 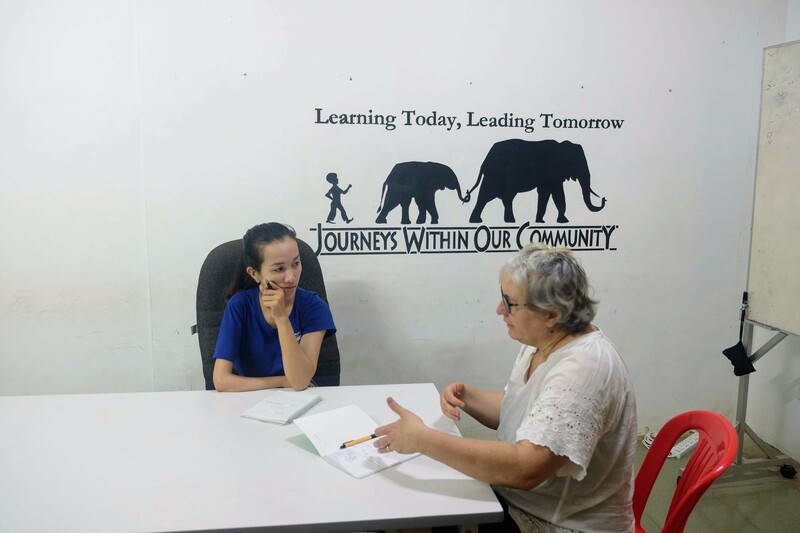 Reference letter – At the completion of your volunteering, we will provide you with a valuable reference to showcase your professional impact whilst here in Cambodia. You will need to cover the cost on your own on flights, insurance, vaccinations, visa, Accommodation and Food (see Accommodation section above for further details). Full assistance will be provided in getting everything ready if you choose our Premium Support. In addition to what above highlighted, with additional $ 380/month we will also help you find and book for you an accommodation suitable to your needs and budget for the whole duration of your staying and prior to your arrival in Siem Reap. You will be living in a studio room centrally located in Siem Reap town, furnished with western standards, A/C, single occupancy, double bed, private bathroom with Hot water and shower and a small kitchenette with fridge, pots and pans, Wi-fi included.